What do you do when you’re onthe road and craving a little European Roulette? 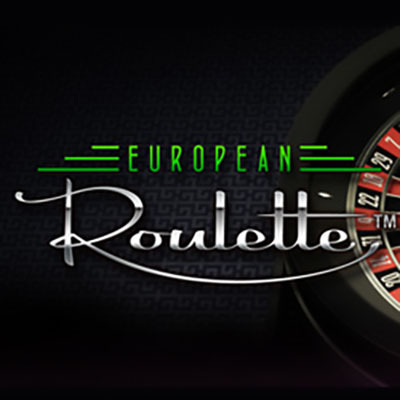 Log online and find yourself this popular Roulette version by Microgaming. European Roulette has a very small difference from American Roulette. While the latter has a 00, European Roulette only has one 0. When the wheel is spun, the ball drops on the wheel with numbers ranging from 0 to 36.European Roulette offers a several wagering possibilities that include Dozen, Street, Trio, Black or Red, Single Bet, Corner, Split, Even or Odd. Microgaming has added features where players can access game stats, expert functions, etc. so as to customize it to their preferences and also look at theirplaying history. Microgaming started operations in 1994 when it launched its first online casino. That casino still uses the same software to date. Microgaming also developed its Viper software which it distributes to many casino operators worldwide. Their software is available in different forms, including live, download, no-download, and mobile. However, their main product is the download casino software that comes with more over 600 games on a Mac or PC. Microgaming has also managed to expand their reach with their software supporting more than 20 languages. Their 300 flash-based casino games are also very popular. Casino operators andpunters are not the only ones who’ve recognized the quality software that Microgaming provides. In 2010, they won the Best Casino iGaming Software award at the 2010 iGB Affiliate Awards and the Casinomeister’s Best Software Supplier Award. The aim of the game is to set a wager on a colour, a number, a combination of numbers or a situation in which you think the ball will land on. Microgaming’sgreat expert functions add a sense of intrigue in this Roulette version.It includes different types of dedicated functions such asBlack Splits, Red Splits and Zero Game. Two extra bets that are not typically offered in classic Roulette games can be found here – that’s the Call bet and the Neighbor bet. Microgaming provides a large range of wageringoptions combinedwith a host of other features to make this game pleasurable. These include; quality graphics, customizable game speed, clear audio, etc. The high quality graphicsmake it easier for punters to place bets and actually see the results. A re-bet option gives punters the convenience of replaying their last table bets. There are different limits for each bet stage, including; for a straight bet is 10p, split bets is 14p, square bets are at 21p and a dozen bet is 50p. The spin of the Roulette wheel can’t be predicted and you almost never know what’s going to happen from one spin to the next. This makes it hard for players to develop a winning strategy. However, you can take a cue from other players who have tried the Martingale System or the Grand Martingale playing systems. In the Martingale System, players are advised to bet on Odd/Even or Red/Black consistently while upping their bet 2x after every loss. The doubling up is so that you end up winning enough to make up for the previous losses. The Grand Martingale system recommends that players follow up losses by only doubling their wagersand also adding in the original wager amount. Sounds a little tricky, but the eventual win will compensate for all the money put in. Players are expected to know the maximum betting limits which usually differ according to different types ofbets.